Before we answer the question of what Ethereum really is, it is helpful to know the basic idea of ​​the Internet. The Internet was developed with the aim of creating a decentralized platform for information. Today however, most of our personal information is stored on computers – on servers or the cloud – by a handful of companies like Google, Facebook or Apple. As we have seen in recent years and months, these data are subject to theft by various interest groups, like hackers. Ethereum is a technology that supports the idea of a decentralized Internet. It is based on blockchain technology. This is also the technological basis of Bitcoin. Bitcoin was first described by Satoshi Nakamoto in his Whitepaper “Bitcoin: A Peer-to-Peer Electronic Cash System” in 2008. While Bitcoin is a pure cryptocurrency, Ethereum can do more than just serve as a currency. Ethereum’s technology is intended to replace third parties that store personal information. The aim of Ethereum is therefore the decentralization of personal data. Some of us may use online document services or online work platforms to work together on projects. Others store their data, such as their photos, insurance letters, bills in a cloud based serve like Microsoft or Apple cloud. We therefore transfer our data to third parties and rely on both the privacy and the integrity of the data. But, we cannot verify if that is really the case. Ethereum’s vision is that the same functionalities offered by Google, Apple and Facebook will emerge through new decentralized applications based on the Ethereum technology, which will return the control of our data to us, the owners. Nobody else but the owner can then access the data or make changes. Ethereum was first mentioned in late 2013 by the programmer Vitalik Buterin, who is considered the inventor and founder of Ethereum. In early 2014 Buterin, Gavin Wood and Jeffrey Wilcke began with the development of the system. The project was funded with 18 million $US (in bitcoins) as the second-largest crowdfunding campaign of all time. As a result, the Ethereum Foundation was created, coordinating the development of the project. Vitalik Buterin was the chief developer of the code repository. Under his leadership, the project was completed in July 2015. In February and March of 2016 happened the first significant increase of the Ethereum price from approx. 1 $US to 10 $US. This was followed by a long-lasting sideways trend, until the Ethereum price set in January 2018 at 1.300 $US. Ethereum endured the most difficult situation in late June 2016, when hackers stole 3.6 million ethers worth more than 40 million euros from the DAO (the first decentralized autonomous organization) which only exists in the blockchain. At that time, the Ethereum price lost a third of its value. By means of a “Hardfork”, the theft was virtually reversed. New blocks have been added according to the new rules with a change in the protocol. The new rules moved the entire amount of stolen ether to a new address. The owners could trade their shares for the new ether. All those who did not want this change ended up in a separated Blockchain and were thus separated from the rest of the ecosystem. This was the birth of the Ethereum Classic. All those who followed the dogma “Code is Law” and defended the immutability of the protocol gathered together. On the other hand, all those who followed the dogma “Law is Code” gathered behind Ethereum. Out of the group consensus of the Ethereum community, the change was legitimate for followers of this dogma. Currently, Ethereum is in the 2nd phase, “Homestead”. It is important to know that Ethereum is still at an early stage – and is still experimental technology. Currently, it is about researching and improving the security of the system. For example, erroneously programmed contracts can cause problems on the EVM. In the third phase, “Metropolis”, Ethereum is to be spread in the mainstream. This stage will be all about solving the scalability problem. Especially the mining process will have to change. The difficulty of mining will increase exponentially in order to prevent inflation. In the 4th phase, “Serenity”, the so-called “proof-of-stake” algorithm will be introduced, which clarifies what is written in the blocks. The computing power (“proof of work”) will therefore not be decisive anymore, but likely the ownership of ethers. As we already described, Ethereum wants to decentralize the Internet and break the established client-server model. But how is this supposed to work? The servers and clouds are being replaced by nodes, deployed by the community around the world to form a “world computer”. Ethereum is thus a distributed public blockchain network. 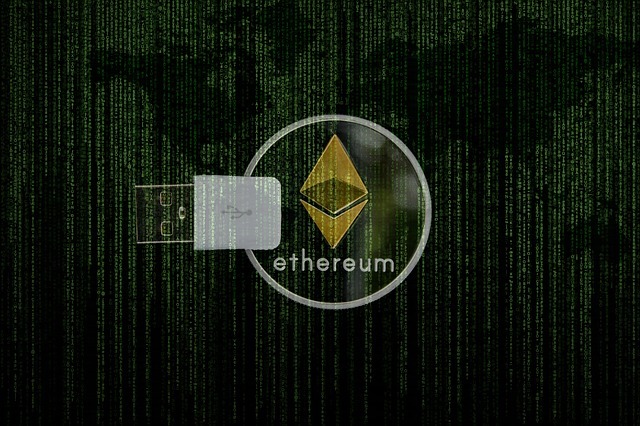 The central component is the Ethereum Virtual Machine (“EVM”), a computer architecture emulated by many connected computers, on which a public block chain is executed. The access happens via various Ethereum clients, which can be used to join the blockchain. They are part of a network that consists of many nodes: Each node of the network executes the Ethereum Virtual Machine and follows the same instructions. However, this parallelization of computing does not intend to speed up computational performance but is used to maintain consensus across the block chain. This consensus allows a very high fault tolerance and minimization of downtime (to zero) on the one hand, and on the other hand guarantees the immutability of the blockchain. Ethereum can be used by anyone to build a decentralized application. It is remarkable from the computer science point of view that the Ethereum Virtual Machine can execute codes of any algorithmic complexity. Ethereum is therefore turing-complete. This means that with Ethereum, based on the blockchain, operations of any complexity can be performed, and thus blockchain applications can be programmed without restrictions. The programming language does not matter, meaning, it is arbitrary. Ethereum is particularly suitable for automated peer-to-peer interactions. The applications are based on so-called “smart contracts” that support the blockchain. Smart contracts are a kind of phrase used to describe a computer code that describes the exchange of money, content, property, or anything of value. When executing the code on the blockchain, the smart contract is treated as a self-executing program. It is executed automatically when the conditions in the program code are fulfilled. The basic unit of smart contracts are the so-called account. When transactions, like state changes in the form of new values ​​and information sent to the account are “watched” by the Ethereum Blockchain. This triggers the Smart Contract, meaning the program code is executed. Now the Ethereum miners come into play. The miners are nodes in the network that receive, verify, and execute the transactions. They execute the complex mathematical problems and group the transactions into the blocks of the blockchain. The digital contracts offer a multitude of application possibilities due to their unlimited complexity. They can be used in the hospital sector (medical records), in elections, in notary work or in the financial sector. Similar to the Bitcoin mining process, the Miner’s machines are dealing with a complex mathematical problem to make a block successful. This is also called “proof of work”. In return for hardware to be purchased and power consumption, miners receive a specific number of ethers for each successful block. To prevent the industrialization and centralization of mining, Ethereum provides miners with a memory-based computational problem that can be most efficiently performed with a “common” computer. Ether and Ethereum – the technology of the future? For many, Ethereum is the successor of Bitcoin. This shows u. This is also due to the fact that the market is nearly half that of bitcoin. Ethereum provides a technology that will be groundbreaking in the future. However, both Ethereum and the cryptocurrency Ether are still in a relatively early stage of development. There are still some key challenges to overcome before achieving stability similar to that of bitcoin. As the number of Ethereum-based applications increases, one of the questions is what happens to poorly-programmed smart contracts that disrupt the network or, in the worst case, block it. How does the Ethereum Virtual Machine handle it? Due to the decentralized leitmotiv, no manual action can be taken. This contradicts the essence of Blockchain, which is incorruptible. Another unresolved topic is the total number of tokens. Bitcoins are limited to a maximum of 21 million tokens. This will not change. In the case of the ether, on the other hand, it is not yet clear how many tokens will exist. There are currently over 80 million tokens, 72 million of which were created in the Genesis Crowdsale. In addition, the “Difficulty Bomb”, which is supposed to prevent inflation, is just beginning to take effect. This means that the more the computational power in the network increases, the more difficult will be the cryptographic computational tasks that the miners have to deal with. Another problem that appeared due to the rapid growth of Ethereum is scalability. The Ethereum network has to deal with rapidly increasing numbers of users. On the day before the crash, June 20th 2017, more than 300,000 ether transactions were carried out, a record for the cryptocurrency. Ethereum is only at the beginning, in its second of four phases and thus has an enormous development potential. It has the chance to become the programmable money of the future. But it has to solve the tasks described above. The Ethereum Community must support the changes to be implemented so the project can thrive in the future. If you want to buy Ethereum, visit this page. Next articleWhat is Bitcoin – Virtual Currency or Digital revolution? Wow, great news. Is there still life in Ethereum after all?